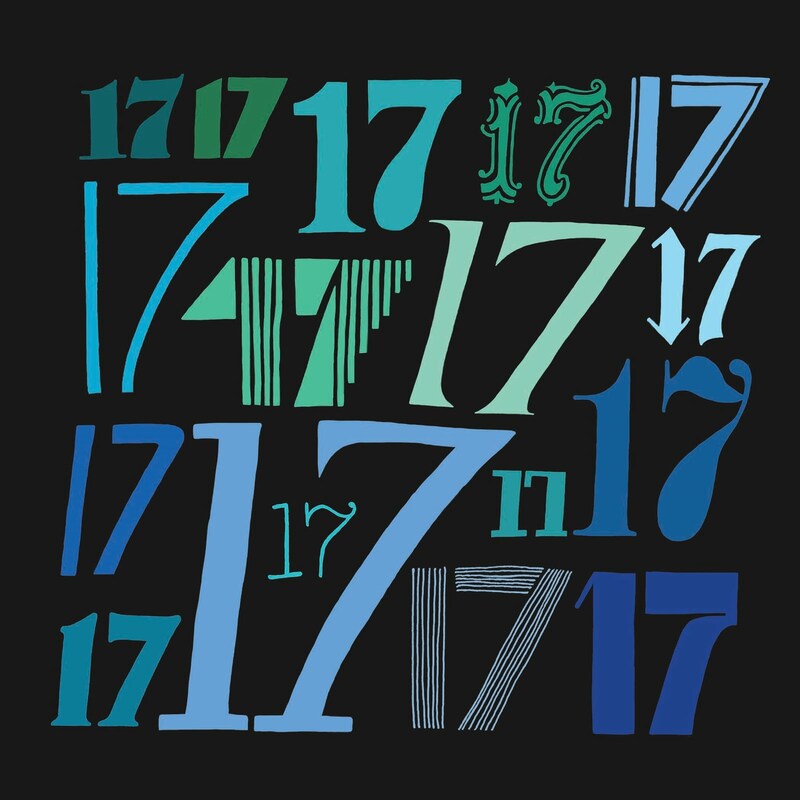 What is the significance of the number seventeen? Seriously, that’s exactly what I’m going to ask you, and it might be more important than you’d think. Jews or Gentiles, we’re all invited to be God’s people. There’s a much larger concept in play than just getting us to Heaven; God’s Word reveals it to us through significant patterns in scripture. God is infinitely mysterious, but is still willing to reveal His nature to those who earnestly seek relationship with Him through prayer, study, and action. This is the hard part to embrace: God is good, all the time; He knows what we need and how to bring it about perfectly. He's got a plan, and it's amazing. We need to trust that. We need to trust Him. I know it’s hard. Within our lives, we’ve been wounded by failed marriages, sexual abuse, substance addictions, and worse – and that’s just within the immediate sphere of our lives. Outside of that, we have been lied to by powerful people in government, educational, and religious institutions. So much in our lives has told us that we can’t trust anyone. My fifteen year old son summed it up perfectly for me a few days ago: Trust no one; not even yourself. Maybe it’s true. But behind that pessimism, let’s find some divine hope buried in the fundamental reason we can’t trust a man-made system on earth completely. Behind each system, there are human beings. And to one degree or another, all of us are broken, including reporters, priests, politicians, teachers, artists, and saints. So where is the divine hope I mentioned? Very simply, it’s that God isn’t broken in the least, and He’s been working since that fateful day in the Garden of Eden to repair our broken parts as individuals. He’s executing His plan to restore humanity. He’s restoring me, and you. In the last year of obsessive bible study, I have come to believe that the number seventeen is an important clue to that restoration. Dig into this idea with me. Really, the list goes on and on. And when one studies scripture closely, the patterns of seven become even more remarkable. 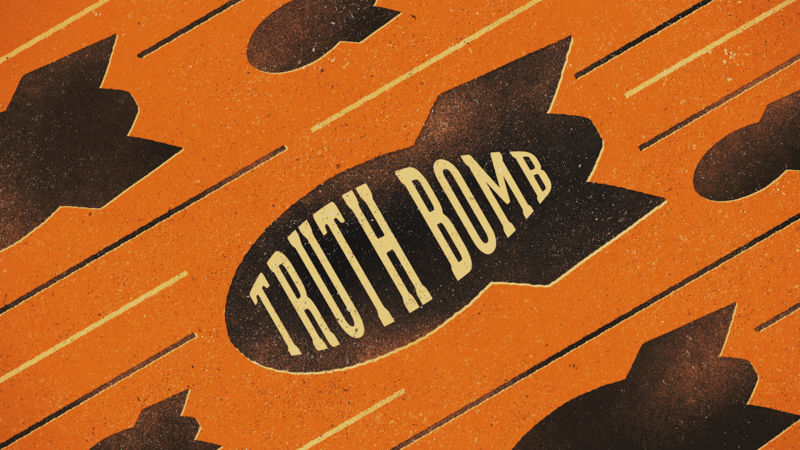 If you’re interested in the significance of the number seven, take a look at this website: http://www.fillthevoid.org/Apologetics/number7MikeHoggard.html . 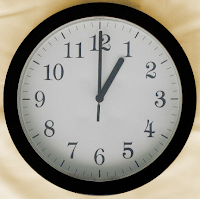 Or, check out videos of Chuck Missler discussing the repetition of sevens in the Bible. It’s a perfect answer to the question of whether the Bible is man-made, or God-inspired. Since we’re talking about something being God-inspired, I have to add that Hebrew is an inspired language in that each of the 22 letters of the alphabet have a numerical value associated, as well as a symbolic meaning. So when one looks at the original text of scripture, there are layers of meaning in both the numeric value of a word (gematria), as well as the combination of letters that make up a word. Hebrew is to English like the Mona Lisa is to a cartoon strip of Calvin and Hobbes. The seventh letter of the Hebrew alphabet is zayin, which naturally represents not only completeness and perfection, but also a sword. What else is represented by perfection and a sword? Our Savior, Yeshua. Cool, right? The gematria value of the written word sheba’ is, interestingly, 10. See? There’s even a built-in segue I can use to introduce the next number I want to tell you about. Ten is used in scripture not only for emphasis, but also in situations where righteousness is the theme. 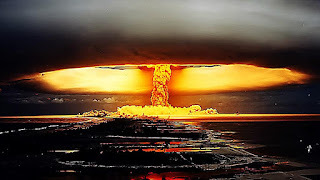 And in the instances where the number ten was used, but righteousness wasn’t found, it ended in destruction. I haven’t done an exhaustive search of this, but simply noted it as I was writing this post. I’m open to other examples, if you have some to share. Do you see a story unfolding? The seven and the ten are each very, very important to God. As you’ll see below, God intended them to be inseparable. In fact, He insisted on it when...no. I won’t ruin the surprise. For now, let’s take a step back and look at the bigger picture of Israel and the grafted-in Gentiles. 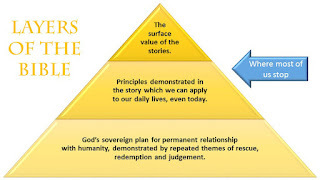 Throughout the biblical history of Israel, she had her ups and downs with keeping the law, but there was a well-ordered system in place to make atonement and through it, obtain righteousness. And, like any system that is completely law-based, abuses will occur. 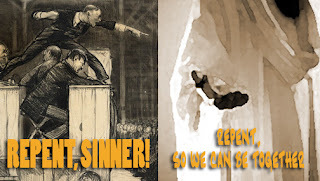 There’s a great deal of temptation to use the law to oppress strangers, the meek, or anyone who doesn’t agree with us. 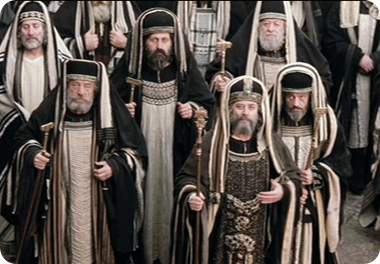 Exhibit A: The Pharisees. I suspect they are the perfect representation of the “10” of responsibility and law, without the mercy of salvation offered through Jesus, which is why he was seen as such a threat to them. Along comes the Gentile church, who didn’t have a history of following Levitical law, and therefore didn’t have any chance of righteousness or atonement on their own. They skipped the bloody sacrifices and came right to the good part: salvation through God’s mercy, and atonement through Jesus Christ. Even today, many denominations of the church won’t keep all of the Ten Commandments. We’re focused on mercy in a big way, but we pick and choose which commandments we think we’re supposed to follow. The church is a perfect example of the seven without the ten. If we look at God’s perfect love, it’s an inimitable blend of justice (through administration of the law) and divine mercy (when we accept the gift of salvation through Jesus Christ). God has combined the ten and the seven, together, perfectly and inseparably. Neither is complete without the other. God the Father, Jesus the Son. Law and Mercy. Seven plus ten. Seventeen. Many, many clues in scripture have led me to this conclusion. 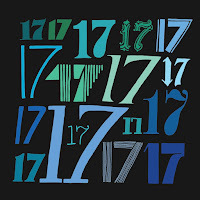 According to Biblestudy.org, the number 17 symbolizes "overcoming the enemy" and "complete victory." Enoch was raptured from the Earth as the seventh generation from Adam, at the age of 365. Noah, the tenth generation from Adam, is rescued from the Earth before it was completely destroyed and lived to the age of 950 (think church and remnant here) Another complete victory over Satan*! 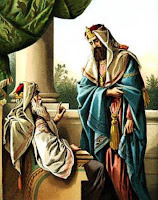 The beginning of King David’s fame was in 1 Samuel 17:17, in which his father sends him to his big brothers to see how they are faring. 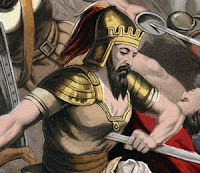 By faith, he slays Goliath. In 2 Chronicles 17, the Levites began to cleanse the temple after a period of idolatry and uncleanness, starting on the first day of Tishri. It takes them until the 8th day to complete the task in the outer court, then another 8 days to sanctify the remainder, for a total of 16 days. On the 17th day of Tishri, right in the middle of Tabernacles, abundant sacrifices were offered and consumed on the altar. Then the congregation was considered consecrated to the Lord, and could bring willing sacrifices of their own. Hezekiah and the people are amazed at what God "suddenly" did for them. Hmmmm. Seventeen thousand sheep are offered as a sacrifice during the Feast of Unleavened Bread in 2 Chronicles 30, which was so joyfully celebrated that the people doubled the length of the feast. There were many who were unconsecrated at this Passover, but Hezekiah asked God to “heal” them, and allow them all to participate in the Passover meal. Do you need more proof that the ten and seven are inseparable for victory? God gave it to Israel in the Tabernacle in the design of the Menorah. 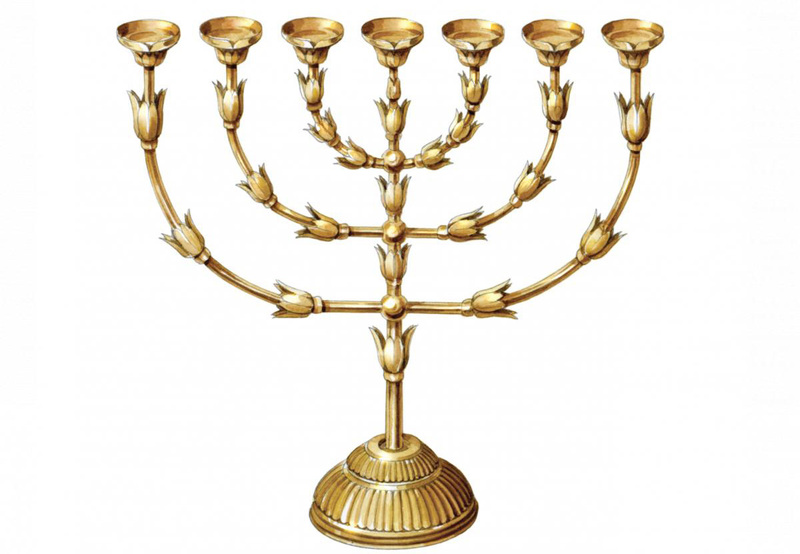 The Menorah (lampstand) in the Tabernacle was designed by God with very specific instructions on its manufacture: seven lamps (cups) and ten knops (bulbous junctures) shaped like almonds. Importantly, it had to be made out of one, solid, piece, hammered into shape. Imagine how difficult that must have been. Do you see it? The seventeens are such an important concept in scripture, representing a perfect sum of God’s divine mercy, and our responsibilities under the law. Inseparable, just like Jesus' church and God's chosen people. Hold on while I duck for cover. Each time I bring up the importance of the Ten Commandments, I get several responses back from people who insist they’re no longer important to us. I disagree, based on all the above. But, because the subject matter is so very serious, I asked God to give me some confirmation before I proceeded with this post. I had a vague notion of the above put together in my mind, but before I typed it out I asked Him to show me significant 17’s during the following day, as confirmation that it was acceptable to post this. I asked Him to make it really, really obvious for me and then went to bed. That night, I had an interesting dream. I was in a war plane, flying above enemy territory. I was ensuring two sets of two books, one tucked inside the other, were ready to be dropped on the targeted site, which would cause a massive explosion. I got the impression that the outer book was the Bible, but it didn’t say so. Both books were definitely holy. Next scene…I’m in a car and God is the driver. My older son is there, and had forgotten something. He went back inside to retrieve it but when we got back to the car, God was sad that something had been stolen from him from his vehicle. We all knew it was going to be retrieved, but we were mourning the loss of the item. Could it have been my imagination? Absolutely. I’m a vivid and lucid dreamer. And I didn’t get a single seventeen the next day, so I did nothing. The following day, I had dropped our boys off at school, and decided to make good use of the half hour it would take to get back home. I opened up my YouTube list. Thank you, Lord, for Bluetooth technology that allows me to listen to videos as I drive. At a stop light, I tapped the screen to play whatever popped up on my playlist. Seventeens ALL OVER THE PLACE. I couldn’t believe it. Later, I opened Facebook to find seventeen notifications, and seventeen likes on a post. It was time to start writing this for you. Here’s where you have to make your own decision. “For the Lamb in the midst of the throne will be their shepherd, and he will guide them to springs of living water; and God will wipe away every tear from their eyes." If you have any thoughts, or other references to the number seventeen, I’d sure love it if you’d leave a comment for me. Today is the 17th of Tishrei, during the Feast of Tabernacles. The Feasts are fulfilled through Jesus, and that’s a big deal, readers. *Many thanks to my friend Deb M. for pointing this one out to me by way of correcting an error in my first post. Iron sharpens iron, and I greatly appreciate it.